Here at Lawn Masters, we have dedicated our careers to turning all our clients’ properties in luxurious patches of Heaven they can call home. If you take a stroll in the area, you will see lush gardens and sparkling green lawns where people love to spend their free time. In case you were looking for the best services in landscaping in Chesterfield MO, you have come to the right place. Our company is here to offer you year-round, continuous services at the highest of standards! Lawn Masters is a family-owned company that has been in this business since 1983. We witness many technological breakthroughs and gained valuable knowledge in the horticulture, agriculture, and environmental sciences. Moreover, we adapted our approaches to landscaping in Chesterfield MO by implementing such novel technologies, equipment, substances, and models of good practices. 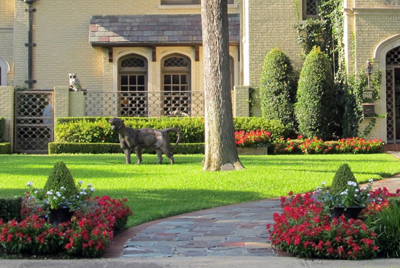 Today, we have a growing pool of satisfied customers who prefer our ongoing landscape management services. Here are the reasons why! Why are Our Services in Landscaping in Chesterfield MO the Best in the Area? If it sounds like bragging, it may be, but we base our affirmations on our customers’ reviews and testimonials. We are proud of our work and we are always happy to take on a new challenge. So, if you have a new property with no landscape and you want us to build you one, or if you have an older property you want to revamp or maintain, here are the things we can do for you! 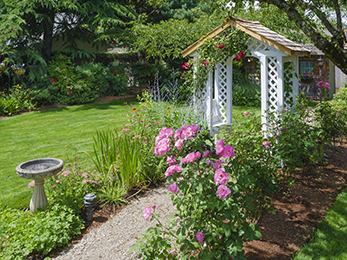 This yearly service considers all aspects of shrub, tree, and hedge maintenance. The 7-step program dedicated to your wooden vegetation includes everything from deep root fertilization to disease control and from dormant oil to vegetation growth control. 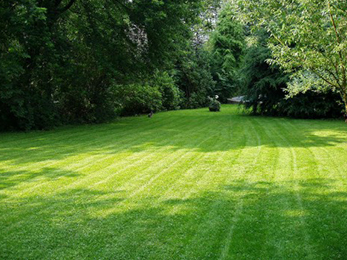 As a company specialized in integrated services, we offer a fertilization and weed control program to all our clients. However, the bed weed control seven steps program we implement focuses on keeping your landscape beds in full health and safety. 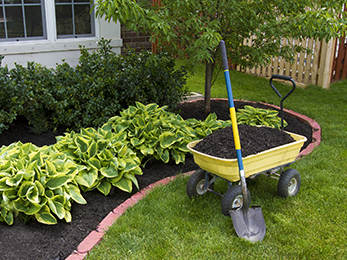 We offer our own type of high quality dark brown dyed mulch to make sure your landscape thrives with no problems. We offer year-round, streamlined services our clients can trust. If you are curious about us and require more information on our services of landscaping in Chesterfield MO, just give us a call, ask for a free estimate, and put us to the test!